We asked our staff one short and sweet question this past week: What are the best free portfolio sites on the web? Keep in mind that many of our staff see 100 or so portfolios each and every week. So we’re here to share the fruits of their hours spent gazing into monitors at portfolio sites of all shapes and sizes. Of course, if you’re an Interactive Designer nothing beats having your OWN portfolio site with a brand and user experience created by you. But for many folks out there who don’t have the time or skills to start from scratch, there are several great options (and did we mention they’re free?). But back to our question. We tallied up the responses provided by our excellent agents and present you with the best sites to showcase all your hard work without spending your hard earned money. You can thank us later. Many of our agents will been attending a sampling of Behance’s 468 Online Portfolio reviews taking place around the world from May 14th through 21st, but the site’s been on the radar for lots of creatives since they launched in 2006. Garnishing millions of pageviews a month, Behance lets you create a truly stunning portfolio connected that’s connected to the design community via activity feeds, groups, collections, etc. 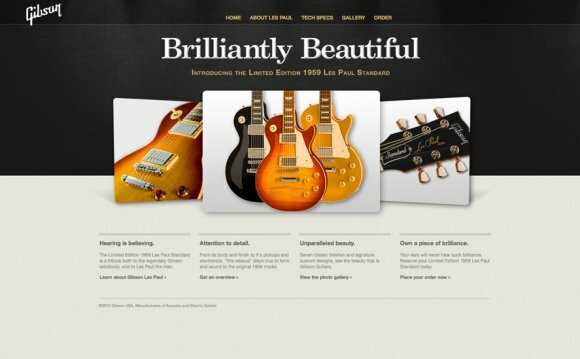 Not only is this site beautiful, it’s a truly effective tool to build your portfolio. What started out as one designer’s frustration at the pain and expense of putting his illustration work online, Carbonmade has turned into home for nearly 400, 000 portfolios. Though it doesn’t have the social media bells and whistles that Behance and Coroflot have, the fact that it’s a straightforward portfolio site that’s incredibly easy to use makes it appealing. Plus, it’s got a unicorn on the landing page, come on, that’s worth bonus points. Carbonmade offers a "Meh plan" that includes 5 projects and 35 images for free. Cargo offers their members a stunning way to create freestanding personal websites with their own URL, but it comes with a catch: you must be invited to join. Don’t be too disheartened, Cargo awards memberships to a number of people who contact them and share their work with the staff. The site is divided into both a front side, which is the public website, and the back side, which connects them to fellow Cargo members. Much like Carbonmade, Dribbble began as a side project, this time for Rich Thornett and Dan Cederholm, one of whom felt he was a pro basketball player trapped in the body of a software developer (which explains the running basketball theme throughout). Designers share small screenshots of designs and apps they’re working on which can either be arranged in a portfolio or explored by screenshots that can be grouped by popularity, “debuts” (new submissions), or keywords. Users can comment and critique individual pieces. A really great, very easy to use site. If you’re looking for a more in depth review of the technical side of some of these sites, Erik Hans Rasmussen has a great post over at Vandelay Design on what makes them tick. And remember, you can have several portfolio sites. For instance you can keep your Behance one even after Cargo offers you another. And with so many options and so many people looking for work, we’d recommend getting yourself out there. Recruiters actively troll these sites looking for new talent, and it’s a great way to get exposure to more opportunities.